Offering services that will save you time & keep your business looking its best! Transcription: Have your teleseminars, webinars or podcasts transcribed. You can charge a fee to your customers for this valuable information by offering it as an extra document or an ebook. You can also use the transcript as fresh blog material. Proofreading: Let a professional check your articles, blog posts, ebooks, presentations or press releases before they are finalized. Your writing should be free and clear of grammatical errors to convey the right image. Typing: If your typing skills are lacking or you prefer to jot down notes, let someone else do the typing for you. A clean, professional look is just a click away. Utilize your time and put your efforts into your business where it matters most. 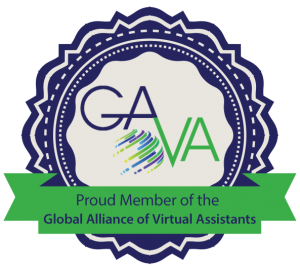 Let a virtual assistant handle the rest! Click on the links above to get started or contact me for more details.